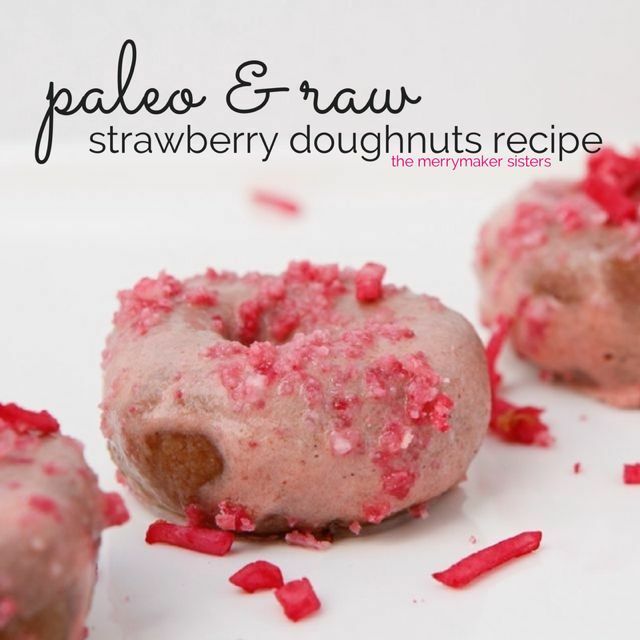 Organic Raw Paleo Strawberry Doughnuts. 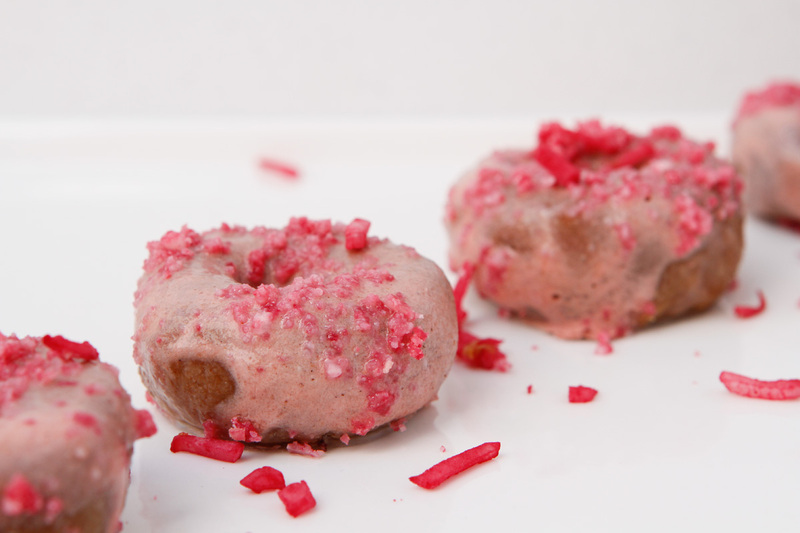 This drool worthy Paleo Strawberry Doughnut recipe is from the AMAZING Maz Valcorza, owner and director of Sadhana Kitchen (the gorgeous photo is by James Watkins Photography)! If you want to read more about this beautiful organic, plant-based living/whole foods restaurant then click here! Otherwise, enjoy these scrummy Organic Raw Paleo Strawberry Doughnuts (we’ve listed the alternative ingredients to 100% paleo-fy them too!). They are just so darn delish! Who ever said healthy eating is boring…? 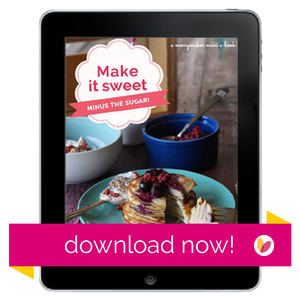 If you like the look of these doughnuts then you’re going to LOVE our new eBook Make It Sweet – Minus The Sugar! It’s full of low fructose, paleo sweet treats that will make you say: I can’t believe this is actually good for me?! organic raw vegan strawberry doughnuts. Place all ingredients except for the dates and coconut nectar in a food processor and mix until the texture of fine crumbs. Add the remaining ingredients and process until a dough forms. If the dough is too dry, add a tiny bit of filtered water. The dough shouldn't be too sticky. Shape dough in to about 12 mini doughnuts and refrigerate for 2-4 hours. Mix all the glaze ingredients in a high speed blender until smooth and transfer to a bowl. Remove doughnuts from the fridge and dip in to the icing. Return to the fridge to set for another hour.